EAT, DRINK & ENJOY ! sweet and savory French crêpes in both classic and seasonal flavors! Laurent Le Barbier was born in Bretagne, France, where the delicious crêpes that he makes originate from. 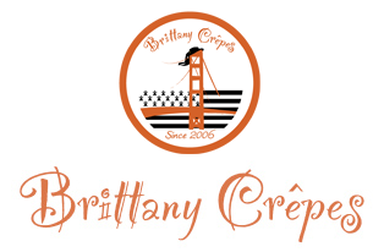 Since he was a child, he’s been making crêpes for his friends, family, and now the entire Bay Area. He learned to make crêpes at his grandmother’s house when he was young and still living in the Northwest region of France. dishes based on our family recipes that have been passed down for generations. Made exclusively with fresh organic ingredients, give you the taste of homemade as well as the convenience of a healthy meal on-the-go, to add a little flavor... To your busy life! seasoned and garnished with bacon and onions... It is then cooked on stone, in a wood-fired oven. In time, farmers used to bake bread, when the oven was too hot to bake bread, they replaced it with a Flammekueche which is cooked in 2-3 minutes. Enjoy delicious and healthy food such as: beet salad, eggplant in vinaigrette salad, falafel and shawarma sandwiches, Moroccan cigars, kabob wrap, lamb and beef dishes, couscous, and more. El Sur’s empanadas using old-fashioned techniques and the finest local ingredients. Our beef is sourced from Five Dot Ranch, a local ranch run by a family who has been in the cattle business for seven generations. The dough is made in house, the beef is hand-cut, and each empanada is folded and crimped by hand. Since 2009, GRILLED CHEEZ GUY has been serving the highest quality grilled cheese sandwiches and Californian cuisine throughout the entire bay area. We are proud to have 9 National Grilled Cheese Invitational trophies and have expanded our savvy sandwiches into new areas such as The Grilled PB&J Guy & Wich Guys (coming soon). Brioche Pasquier, a family-owned French baker since 1936 and one of France’s leading brioche bakery, bakes delicious brioche classics using family recipes and preservative free, trans-fat free, non-GMO Ingredients. Brioche Pasquier entered the U.S. market in 2012 with the acquisition of award-winning, Northern California based luxury dessert company, Galaxy Desserts. Brioche Pasquier brioche favorites can be found in leading Northern California specialty grocers: Oliver’s Markets, Mollie Stone’s Markets, Draeger’s Market, Berkeley Bowl and Lunardi’s Markets. 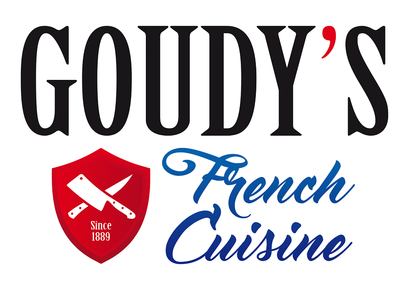 Goudy's French Cuisine, artisanal Charcuterie, offers a large choice of Foie Gras, Pâtés, Rillettes, Duck Breast and of course tasty Sausages. All our delicacies are produced in the Bay Area without colorants and additives and we take care to select first choice ingredients and meats. Our Chipolata Summer Sausage (pork with fresh lemon zest and Fresh sage seasoning) has been awarded Champion 2017, by the California Association of Meat Processor.